US security experts are voicing alarm after one of President Donald Trump’s businessman friends posted a photo of the ‘nuclear football’ to Facebook after an event for the Japanese prime minister. The meeting at Trump’s Florida golf club was a private affair, replete with Trump’s entourage, close friends and each leader’s security detail. However, the dinner was interrupted by reports that North Korea had launched a missile in Japan’s direction. Suddenly, the dinner table turned into an impromptu ‘Pentagon situation room’, as Trump and PM Shinzo Abe began to publicly assess the situation. At this point, Trump’s friend, Richard DeAgazio – a wealthy apartment complex owner and former president of Boston Capital Securities Inc. – decided to start taking pictures, some of which ended up on Facebook. The image that caused alarm showed DeAgazio hugging one of Trump’s closest aides, while the aide holds the ‘nuclear football’ – a briefcase with the materials and codes the president needs to launch a nuclear strike. Referring to the aide-de-camp simply as ‘Rick the Man’, DeAgazion later described the football and its uses on social media. — Samuel Oakford (@samueloakford) 13 февраля 2017 г. This is not the first time aides-de-camp have been identified publicly – there have been several instances of them being photographed with their name tags, according to the Washington Post, including one with the Obama administration. What now has White House officials and the Pentagon in a pickle is how to respond to the security breach. The photos, since deleted, have been reposted countless times over Facebook and Twitter alone. Some in the US media have inevitably drawn parallels with the Trump presidential campaign’s earlier insistence on Democratic rival Hillary Clinton having no regard for proper procedure – concerns that were also voiced repeatedly during the FBI investigation into her improper handling of classified correspondence. 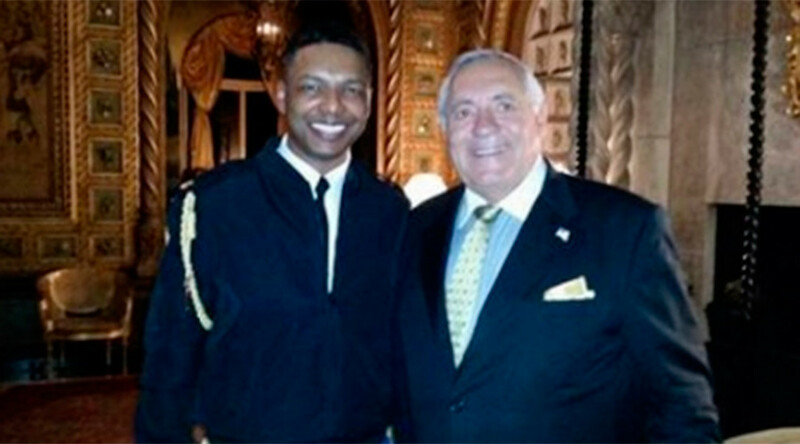 According to nuclear policy analysts the Post spoke to, however, it is very irregular for an aide to be photographed in this way with a civilian, despite ‘Rick’ not knowing the photo would end up on social networks. The Post contacted the Pentagon shortly after the dinner photos went public to ask for a reaction, but only got one response from an official speaking on condition of anonymity: that the situation has been exaggerated. The White House had no comment. According to the Boston Globe, critics on Monday also voiced displeasure at Trump’s apparently lax handling of national security crises and intelligence-gathering. Over the weekend, CNN reported details of the Mar-a-Lago dinner, saying the whole discussion with Abe over North Korea had been held in plain view of all the guests, and did not represent a national security meeting at the Pentagon. — Joseph J. Santorsa (@Marnus3) 13 февраля 2017 г. White House spokesman Sean Spicer told the media that no classified information was discussed publicly, however. 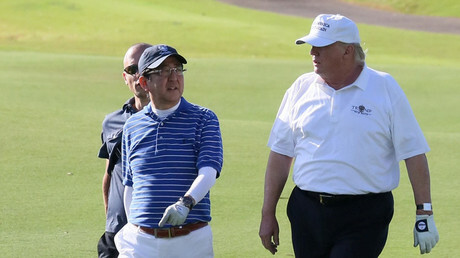 He said that Trump was indeed briefed about North Korea, but that he and Abe had been discussing plans for a press conference to be held later that night.